Does your firm’s logo stand out from the crowd? 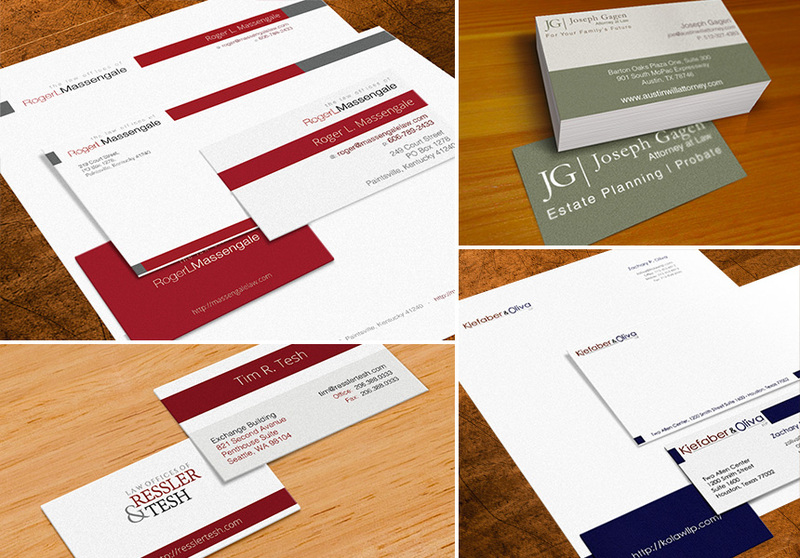 Your law firm’s logo, business cards, and other collateral are important aspects of your firm’s brand. They need to resonate with clients, and be consistent with the value proposition and services offered by your law firm. They also should help differentiate your firm from competitors so that prospective clients want to hire your firm. Whether your law firm serves leading corporate clients, injured individuals, or those in need of other legal services, we can create the right brand and collateral for your firm. At the heart of a great law firm logo is the creation of a strong law firm brand. A brand consists of the value proposition that your firm offers clients – the legal services you provide, the non-legal needs that you fulfill, and the associated fees that are charged. A brand is conveyed through messages and images, in addition to collateral. Ideally, brand messaging and a firm’s value proposition should be developed first – before a logo, business cards, or a law firm website are developed. This process helps ensure that the logo, collateral, and website all encompass and enhance the messages and identity desired by the firm. If a firm wants to position itself as a long-trusted corporate firm serving established businesses, the logo and collateral materials may be very different than a firm seeking to position itself as a cutting-edge boutique law firm serving start-up companies and entrepreneurs. If you want to be seen as the right firm for client needs, it’s important to develop a recognizable logo and brand that will convey this perception. See our Law Firm Collateral Portfolio. In most instances in which we are undertaking both brand development and website development, we will want to develop the firm identify first, then the website artwork consistent with the firm identity, and lastly the logo and collateral development (which will fit with the firm identity and the website artwork). A law firm’s website and logo will the be primary and likely most-used way of conveying a firm’s brand, not only through the website itself, but also across social media and even printed collateral (which should incorporate key website design aspects). To Learn More About Our Law Firm Brand Development, Please Call Us Today at 520-395-6525.